Can you sue Lyft for an accident? Do you need a lawyer to sue Uber or Lyft for an accident? Who is responsible for an Uber accident? Can I sue Uber or Lyft if the driver was not insured? How much does it cost to hire an attorney to sue Uber and Lyft? 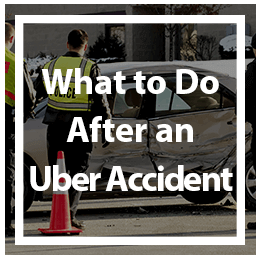 Who is a good lawyer for an Uber accident lawsuit? Who is responsible to pay for damages and injuries to passengers in an Uber or Lyft accident? Yes, you can sue Uber for an accident, and you can sue Lyft for an accident. In fact, our law firm has sued Lyft and Uber for many accidents and we have recovered millions of dollars for our clients. Below you will find some of our recent verdicts and settlements. Every year, thousands of passengers on Lyft and Uber vehicles suffer injuries in accidents across the country. Many victims are unaware of their legal rights following such accidents. Passengers are regarded as innocent bystanders to the accident. Thus they are owed a duty of care from any driver who can be placed at fault for the accident. Below is specific information aimed at assisting individuals who suffered harm in accidents involving rideshare companies. If you have any further legal questions, or if you need help filing a claim against Uber, feel free to contact our law offices. All legal consultation and case reviews are provide by our law firm free of charge. If the driver of the rideshare company is placed at fault for the accident, then a passenger will be able to immediately access the rideshare companies’ insurance policies. The individual insurance policy of the driver will not come into play if the ride share app was on at the time. If the app was turned off at the time of the accident, then a victim would access the driver’s primary insurance. Rideshare drivers are considered common carriers; similar to bus drivers and train conductors, they owe passengers the highest duty of care beyond a reasonably prudent person standard set for other motorists. There has been extensive legislation over the past few months which force rideshare companies to provide their drivers with commercial insurance policies as high as one million dollars. If the driver was not at fault for the accident, then a passenger will first have to file a claim against the insurance of the other driver. In many cases, however, the at-fault driver will not have insurance or the insurance coverage limit is not enough to provide for full compensation for the injured victim. In such cases, a passenger will then have an Uninsured Motorist (UM) or an Underinsured Motorist (UIM) claim against the ridershare companies’ insurance. 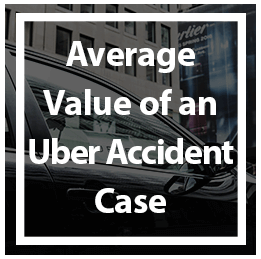 It is highly recommended that you speak with a lawyer that is highly familiar with traffic accident laws to file an Uber claim or Lyft claim to get you the maximum compensation. If you do this yourself, you will not get nearly as much as you would with an Uber lawyer by your side. Victims of personal injury have the right to seek financial recovery for all damages suffered. A calculation of financial recovery for the damages you suffered is predicated on several significant factors. Some of those factors are provided below. The extent and severity of the injuries you have suffered. Your medical expenses to date and a calculation of future medical costs. Other economic damages – damage to property, loss of income and future loss of earning. potential due to long term injury and or permanent disability. Level of non-economic damages – this includes emotional distress as well as pain and suffering compensation. Whether punitive damages can be assessed: Courts will award punitive damages in claims where the victims suffered harm due to the intentional or reckless conduct of another. An example can be if the driver was drunk at the time of the accident, or if the driver was driving at a high rate of speed in excess of the speed limit. There are several important steps you need to take in order to protect your rights as a passenger in an Ube or Lyft Vehicle. Contact your local law enforcement and file a Traffic Collision Report. If injured in any way, week medical attention immediately. Take pictures of the accident location and the vehicles involved. Take down the information of the drivers involved in the accident, including driver’s license numbers and insurance information. If there are other witnesses, take down their information as well, including name and phone number. DO NOT speak with any insurance company regarding your injuries. Any comments you make to them can be used against you to reduce or eliminate your right to recovery. Contact an injury attorney with experience in handling Uber and Lyft passenger injury claims. If you would like to speak with an attorney concerning your case, call or email our law offices. All legal consultations are provided free of charge. Unlike some other law firms, we will not waste your time with secretaries or recordings. An actual lawyer who understands how to sue Uber or Lyft will speak with you regarding your lawsuit. We are located in Los Angeles but take cases across the entire state of California, so whether you are located in Los Angeles, San Diego, or San Francisco, feel free to contact us for your free consultation. If you have been in an accident, you can contact our law firm right now for a free evaluation of your case. We will review the details of what happened and provide you with our best legal advice. 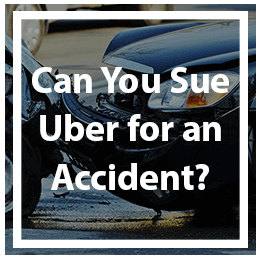 We will let you know if you can sue Uber or if you can sue Lyft for the accident that caused you harm. 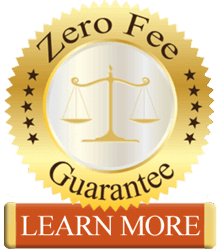 If we take your case and represent you in your legal claim, there will never be any upfront fees. We work exclusively on contingency and collect fees only when we get you money. We also have a network of doctors and other medical professionals who work on contigency as well, without charging anything upfront. 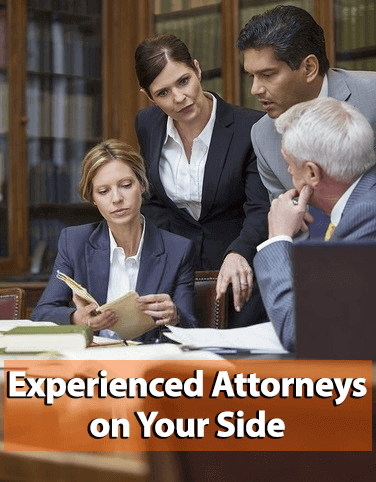 Even if you already have an attorney, you can still contact us and we can provide a free case evaluation. Perhaps you are not happy with your current lawyer. In those cases, we can take care of all the paperwork and switch you to our law firm.